“Beyond organic means just that; it’s better than organic,” said Davis County farmer Robert Yoder, as he looked across a pasture filled with cows grazing in silence. His hand-built farmstead sits in the epicenter of agriculture country, where near-replicas of his place lay among the undulating hills stretching in every direction. Yoder lives in an old-order Amish community near Bloomfield, in southeastern Iowa, where signs for buggy-crossings are more common than stoplights. He hitches his horses to a wagon twice daily and heads to the fields to move his cows, chickens and pigs to a new “salad bar,” otherwise known as fresh pasture. His labor intensive methods make for happy animals, nutrient-dense meat and healthy soil, he says. They also make for free exercise for him — no gym membership needed, Yoder added. But a question remains: can such dedication survive against competing corporate organic producers, who flood the market with products that would never pass Yoder’s critical eye? Beyond organic farmers remain vulnerable even as they grow in popularity, and some farmers would say because of it. Once marketers see beyond organic as a lucrative new market, the term’s meaning will have changed, they say, and beyond organic farmers will once again be displaced from a movement that was once their own. Not all who identify with beyond organic are opposed to government certification, but many believe it is no longer the gold standard. The regulations, they say, leave too much wiggle room for lackadaisical farmers interested only in profit. Many of their concerns are valid. A recent IowaWatch investigation found that the federal government’s certification program fails to process fraud complaints quickly and documented that certifying agencies inconsistently enforce standards. Much of the system relies on inspectors employed by for-profit agencies that depend on the farms they inspect to stay in business, the investigation found. It studied three types of organic consumers: the core (or organic ‘evangelists,’), mid-level, and periphery (who know little about organics.) The core group, which makes up 28 percent of organic buyers but purchase the most organic food, is shifting its shopping priorities. Now the subject of a consumer study, beyond-organic has become emblematic of values that many consumers seek. This moniker is circulating amidst farmers, foodies and the majority of the agricultural world. Even Organic Valley, a mainstream organic milk cooperative, has defined the term in a chart titled Beyond USDA Organic: The Evolving Organic Food Lifestyle. • Labor standards requiring fair wages for workers, reasonable hours and a variety of tasks. The federal standards do not include those provisions. Of the rest of the vendors, about 75 percent had heard of, read about, or knew a beyond organic farmer. The USDA organic program that certifies farms worldwide is casting a glaring eye in beyond organic’s direction. 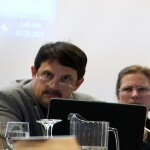 Giacomini, who is an independent dairy nutrition consultant specializing in organic dairies, said that by listening to public comment while on the board, he saw the tension between farming purists and those with economic interests. Giacomini argued that unsatisfied farmers could make changes through public comment and the complaint system instead of opposing the program. “One of the most underutilized functions is the everyday person within the industry who comes across a problem, filing a complaint,” he said. But those who have used system have often gone unnoticed. The 2010 USDA audit of the program found that it left 19 of 41 complaints unattended for an average of three years. Some beyond organic farmers are held accountable through private, independent entities such as Certified Naturally Grown and the Animal Welfare Institute. According to the IowaWatch farmers market survey, about 20 percent of beyond organic farmers are using independent entities to hold them accountable, while the majority still rely on providing specific information to customers using descriptors such as grass fed, bio-intensive, 100 percent chemical free and others. The “core” organic consumers studied by the Hartman Group prefer specific information about where a product is from and how it was raised over certification. Yoder, for one, will talk about his practices to anyone willing to listen. His enthusiasm has often won him customers, like Debbie Freeberg-Renwick of Fairfield. Michael Pollan, a journalism professor at the University of California at Berkeley, has written about nature and culture for 25 years, and in his book, The Omnivore’s Dilemma, he describes beyond organic as a backlash against the organic industry. He said many of its philosophical values, such as quality, labor standards, local distribution, more thorough sustainability and animal welfare aren’t protected by organic regulations. Pollan’s book featured Polyface farm’s Joel Salatin, who quickly rose to fame as a result. Although many farmers such as Yoder already were Salatin devotees, he is now widely recognized as the father of beyond organic in the animal welfare arena. 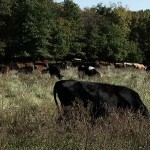 He swears by a technique called “mob grazing,” where animals feed in tight packs on grasses before moving to new pasture. He also refuses to ship his meat, in keeping with his local philosophy. “We now have a renaissance of farmers who are small-scale and doing the right thing,” Pollan said. For Jill Beebout, using even organically approved chemicals for growing vegetables rocks the boat. Beebout and her husband Sean Skeehan of Blue Gate Farm, sell their produce from May through October each year at a farmers market just a few blocks from the state capitol. “We do not use chemicals of any kind, period,” she said one fall afternoon, fluidly navigating her market stand stacked with jam jars, raw honey and free range eggs. “How are you ladies today,” Beebout said as she smoothly bagged Blue Gate’s last strawberry jam of the season for two customers. “I hope you can come out for a visit,” she called as they waved goodbye. Beebout has an open-door policy not uncommon among farmers market vendors, who welcome all to come see the farm. Critics call this a false front, saying few make the trip. But Beebout said members of her community-supported agriculture farm often come out for member events. Over 1,000 visitors attended an annual “farm crawl” on her land last year. As for her other customers, Beebout says they trust her. Beebout and her husband left professional theatre jobs in Houston, Texas, in 2005 and moved to a 40-acre farm in Chariton, Iowa. She explained that her farm is Certified Naturally Grown, a certification program designed for small-scale farmers. Its regulations are modeled after certified organic’s but require less paperwork and fees. But she said in some instances, the USDA label could be helpful to consumers. Aside from selling through the farmers market, Beebout runs a community supported agriculture program selling direct to consumers. The latest USDA census of Iowa’s farmers showed unprecedented support of local food. After decades of decline and consolidation, the number of small farms in Iowa increased by 4,000 from 2002 to 2007. These farms reported selling mostly to direct markets. This increase is encouraging for beyond organic farmers who rely on the support of local consumers. 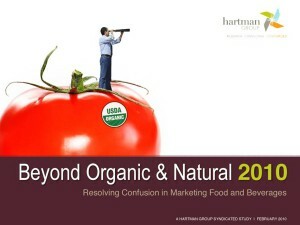 The Hartman Group says that consumer preference for local has surpassed that of organic. Despite local foods’ growing popularity, beyond organic farmers may be an endangered species. Only one beyond organic farmer from the IowaWatch survey could support himself from the farm. Two said they lost money from the farm, while the majority had to find outside work to supplement income. 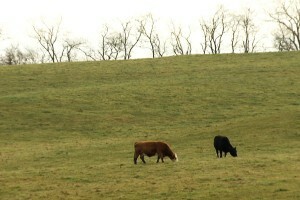 The local food economy is expected to reach $7 billion in 2011, up from $5 billion in 2007, according to the agriculture department. But organic is still where the money is. Consumers spent $24.8 billion on certified organic food in 2009, according to the Organic Trade Association. The certified organic label is an industry standard that is universally recognized by grocery stores, processers and distributors. Without the organic label, farmers have fewer opportunities to enter new markets. 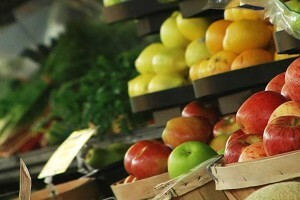 Grocery stores often pay local farmers according to conventional prices. A mushroom farmer in Wisconsin didn’t make money on his farm for 10 years, according to an article in the New York Times. But when he became certified in 2010, he started turning a profit and was planning to expand his operation by 40 percent. Studies by the Leopold Center for Sustainable Agriculture and Iowa State University found that those who farm organically make more money than conventional farmers. In Woodbury County, Iowa, the local government created a tax-abatement program in 2005 for producers transitioning to organic farming. The Leopold Center, which is an education and research center in Ames, Iowa, found in a study that farmers rotating organic crops on 1,000 acres of land made 52 percent more sales revenue than conventional farmers. But most beyond organic farmers are still holding out. Kathleen Delate, organic crops specialist at Iowa State University, said the choice was theirs, but they’d have to accept having fewer opportunities. Beebout of Blue Gate Farm is one of the few beyond organic farmers in Iowa who survives solely off the farm. Profits are low and the work is hard, but they’ve created a sanctuary where nature provides its own wealth.